For those not in the know, Yamaha’s ‘M-Slaz’ is a naked version of its popular YZF-R15 single cylinder sports bike first launched in Asia and India in 2008. And yes, we had to look that up. As reliable as it is underwhelming, it’s a bike that in normal guise most of us would instantly overlook in favour of an MT or XSR. But when they just aren’t on the menu, how do you take what’s available locally and turn it into something you’d die to ride? This is how. 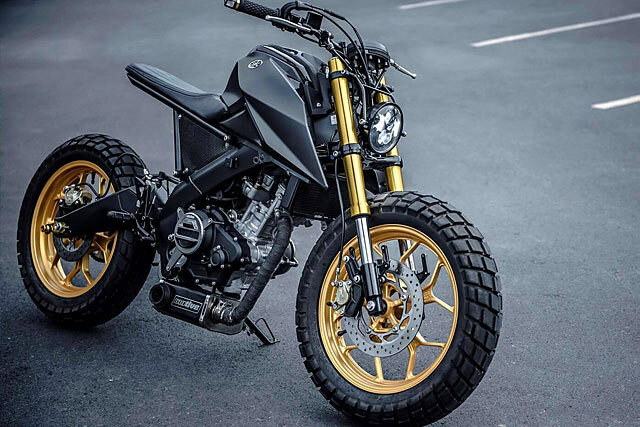 Here’s Thailand’s K-Speed with their Yamaha ‘Monkey Slaz’ Tracker. Oh the ’80s. It was a decade when the planet got so many things really wrong, including the fashion. Unfortunately, that extended to motorcycle design and history has not been kind to the machines of the period. So despite Cycle Guide predicting that the Honda VF750S Sabre would be the bike of choice for the next ten years to come it proved to be more Video Killed the Radio Star than Jacko’s Thriller. But what those years of dodgy hair and shoulder pads really needed was just the skills of a master craftsman. Today, Thailand has such a man, Eak of K-Speed Customs, who’s taken this ’80s horror show and turned it into the most badass Honda “Sabre Racer” ever created. It’s literally fit for a movie star. In many ways, It’s BMW’s eccentricities that make them so interesting. From the air cooling and boxer engines to shaft drive and weird headlights, there’s just something about all that awkward Germanic design that really sets them apart. But of all their unique outside-the-square thinking, there’s nothing more endearing than their flirtation with telelever front suspension. Also known as a Saxon-Motodd front fork, it aims to reduce or remove brake dive – a long-time bugbear of telescopic forks. Of course, nature had solved this problem a millennia ago by allowing the big cats to isolate their heads with near-perfect stillness while their bodies weave and dart beneath them. 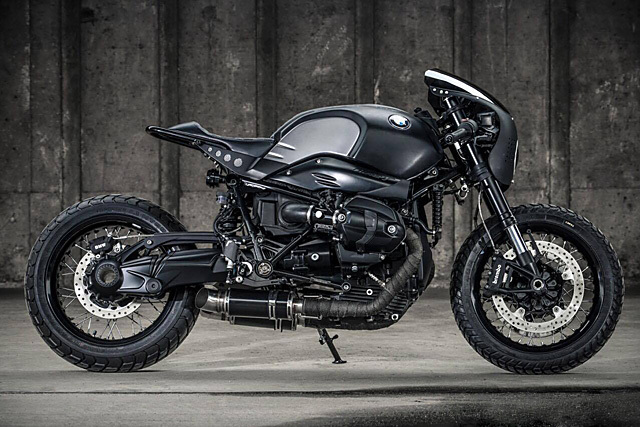 One such big cat is Thailand’s Black Panther, who’s clearly the inspiration for today’s BMW R1100RS by their country’s very own K-Speed Customs. There are literally millions of two-wheeled machines on the streets of Thailand, with the market dominated by a huge variety of scooters and low capacity commuter bikes. With 15 million people living in the Greater Bangkok area it makes for the perfect form of transport, if not more than a little dangerous for the uninitiated foreigner. 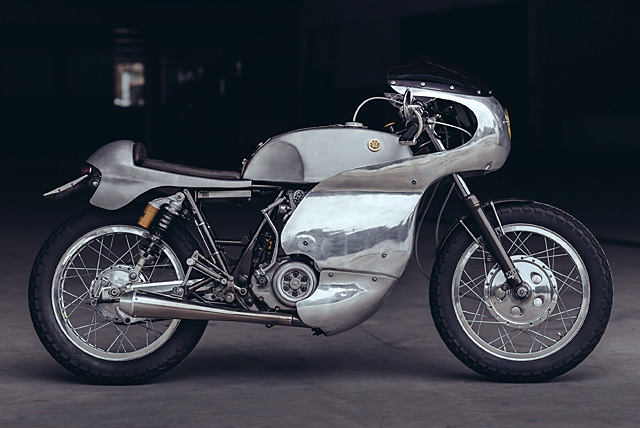 But where the streets of LA and London have been home to vintage-tyred, old school styled Cafe Racers for decades, in Thailand it’s not just a case of what’s old is new again, it’s simply never been seen before. For the huge motorcycle megastore K-Speed, with branches across the country, custom bikes play a crucial role in their daily fun and promotion. 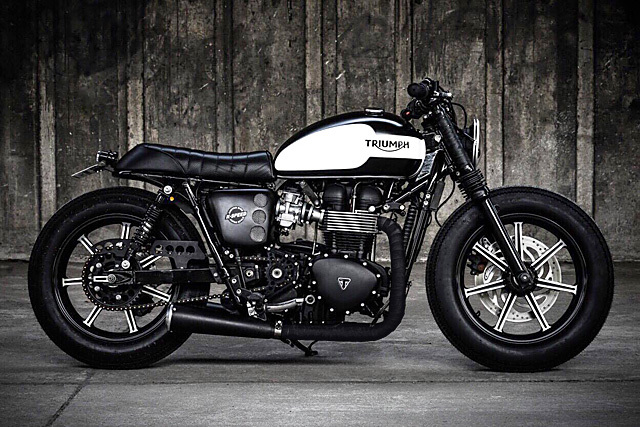 But for founder of the brand Eak they are a way of life, a passion and on this build his chance to deliver to the Thai streets the rare sight of old school cool; it’s a 2015 Triumph Bonneville with his trademark sinister spin. The motorcycle industry is booming in Thailand with all the major Japanese manufacturers having a large presence and the Europeans have followed in recent years. With the world’s largest markets on its doorstep Thailand is the perfect place to build and assemble many of the models on offer in the global marketplace. But with this boom attention has also be turned to the local custom bike scene and in the spotlight is the country’s biggest player K-Speed Customs, with 12 locations across the country. Overseen by head honcho Eak they come with a penchant for the dark side and most of his bikes are finished in Matte Black with a sinister appeal. 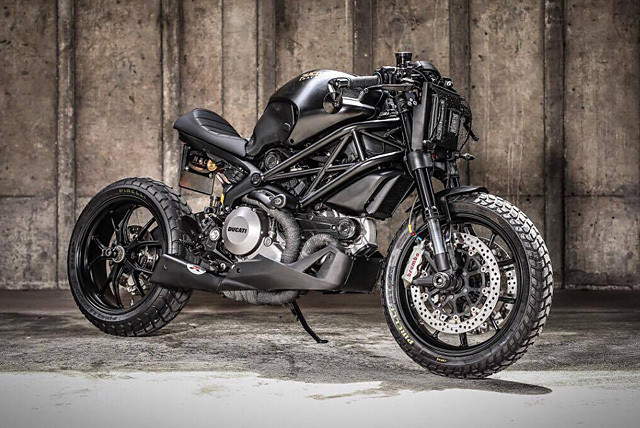 So it’s no surprise that when he combined forces with one of his shop owners to come up with a new build the end result is this murdered out Ducati Monster M1100 known as “Darth Mostro”. Last week we lost one of the most renowned Heavyweight Champions of the World. He called himself “The Greatest.” The whole world knew him as “The Champ.” Muhammad Ali’s technique and speed set him apart from all other fighters. His shadowboxing was the stuff of legend. 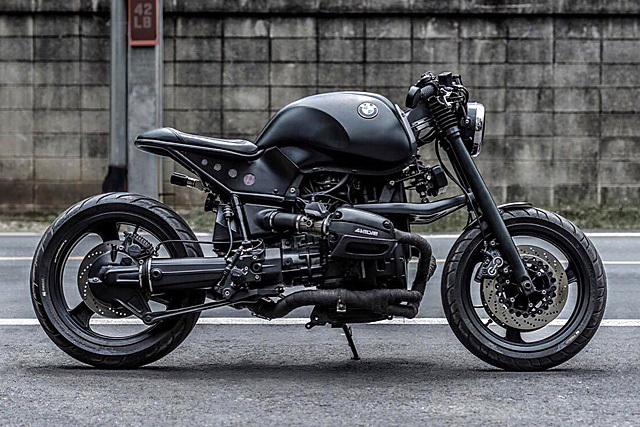 So after talking to EAK of K-Speed customs in Bangkok, there could be no second guessing as to how he came up with the name of his latest creation, a brawny BMW RnineT cafe racer called ‘Shadow Boxer.’ The bike had to be named after the Champ, right? Guess again. 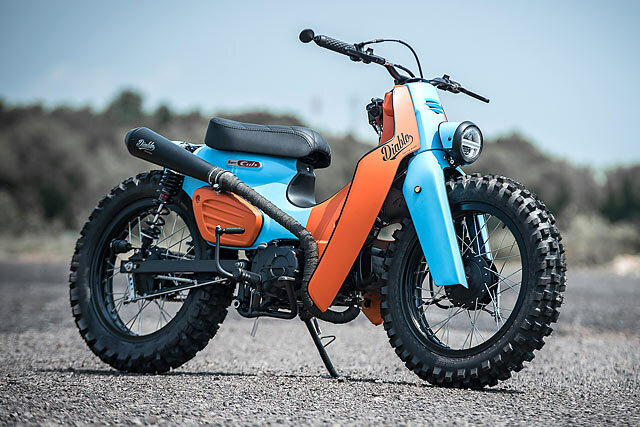 EAK insists the name was inspired by the “boxer” engine format, coupled with the bike’s color palette. 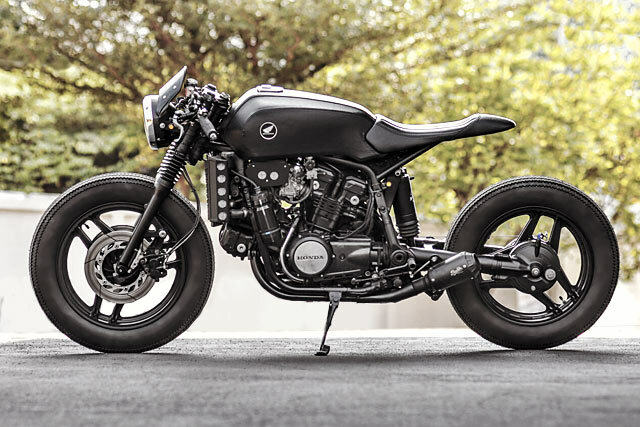 EAK explains his passion for bikes as being “born out of a nagging need to feel free and the belief that motorcycles can take you anywhere.” He describes his build approach as outside the box with a love and focus on timeless design and creating unique machines. The French Revolution. JFK’s assassination. 911. UFOs. Satanic worship. The Illuminati, that pesky Bavarian secret society that apparently controls the world, gets collared with the rap for a heap of historical events – both good and bad. If you believe the hype, then you’ll know that they are even able to control the weather. 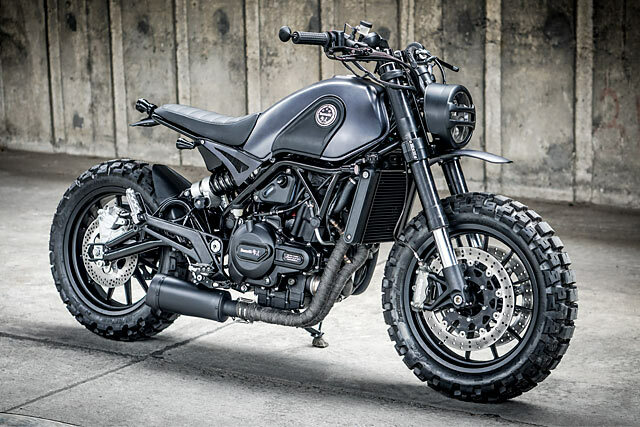 But here’s something that I bet you never expected from them – a sweet-assed custom bike. Is there nothing they can’t do? 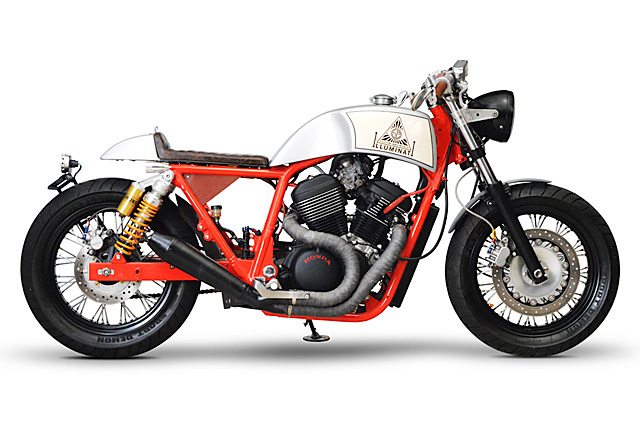 Either that, or there’s a new shop in Thailand that has managed to customise a VRX400 and turn it into an amazing bike to launch their shop and named it the ‘Illuminati’. It’s hard to believe, we know. But just suspend your disbelief and go with it. If we make them happy, I’m going see if they can make sure it doesn’t rain this Sunday.